MVD Entertainment Group announced this past week that Emmy-winning documentary filmmaker Jim Brown’s Free to Rock, a ten-years-in-the-making look at the effects of rock ‘n roll music on the erosion and eventual downfall of the Soviet Union, will be available on Friday, Nov. 3 as a double-disc DVD release. During the Cold War all of the eastern European countries — Poland, Hungary, East Germany, etc. — as well as the Soviet Union, were cut-off from Western music (you know, Elvis, The Beatles, The Rolling Stones, etc.) and the youth-corrupting music influences that were spawned from such tunes. Well, at least that was the plan, but it didn’t exactly work out that way. Brown, whose music-themed documentaries include Pete Seeger: The Power of Song, The Weavers: Wasn't That a Time and Woody Guthrie: Hard Travelin', knows his subject well and is able to document underground rock groups — Flowers, Kino, and Plastic People of the Universe — who were influence by music trends in the West. In the end, beside freedom, those under the thumb of the communists wanted blue jeans, washing machines and their rock ‘n roll music and one way or another those walls were going to come down! 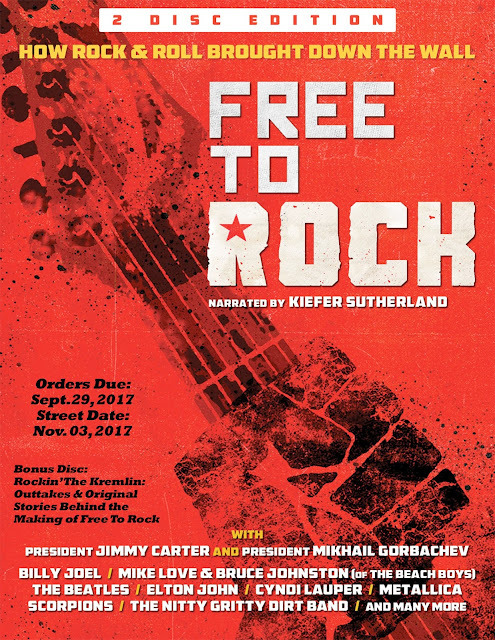 Free to Rock in a nifty blend of period interviews — Jimmy Carter, Mikhail Gorbachev, etc, — and vintage performances from the period! As a bonus, MVD Entertainment Group is including a second disc which features the feature-length behind-the-scenes presentation of Rockin’ The Kremlin: Outtakes & Original Stories Behind the Making of Free To Rock. 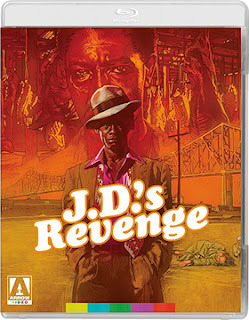 Arrow Video, with domestic sales and distribution expertise provided by MVD Entertainment Group, will be delivering a new 2K restoration (from the original film elements) of producer/director Arthur Mark’s 1976 Blaxploitation horror hit, J.D.’s Revenge, as a Blu-ray/DVD Combo Pack on Halloween (yes, Halloween falls on a street-date Tuesday this year). 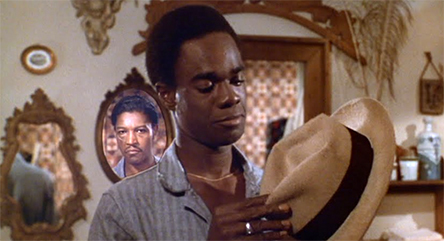 We didn’t know it at the time, but this American International theatrical release, which hit theatres during the final days of August in the summer of 1976, marked the beginning of the end for the Blaxploitation wave that burst forth in the early ‘70s with such landmark film releases as Sweet Sweetback's Baadasssss Song, Shaft and Super Fly … and then quickly branched out with sub-genre mixes that included horror, Westerns, the aftermath of Viet Nam, martial arts (thank you, Bruce Lee) and even animation. 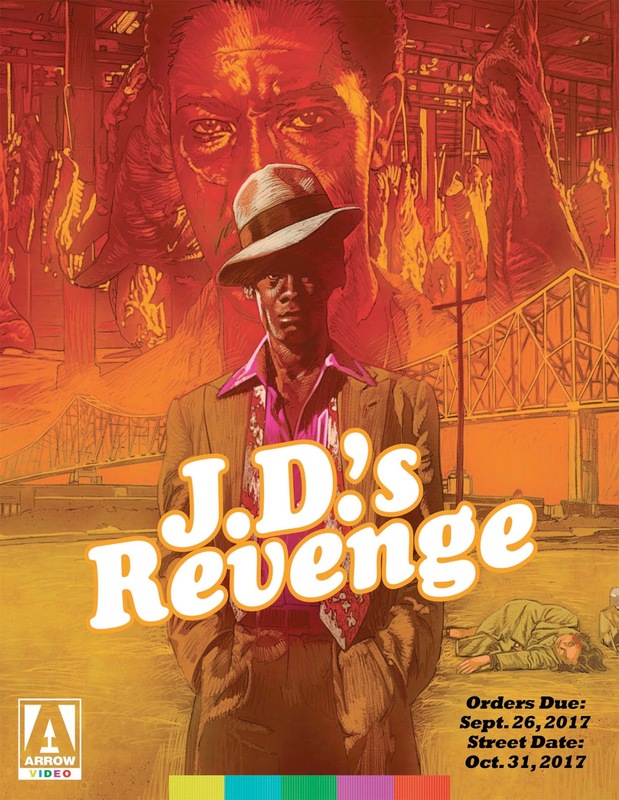 As to the mixed-genre release of J.D.’s Revenge, in a prologue we are introduced to J.D. Walker (David McKnight — Under Siege, Hollywood Shuffle, etc. ), a 1940’s New Orleans gangster, who walks in on the murder of his sister, Betty Jo (Alice Jubert), in seedy slaughterhouse and is mistaken for her killer by Elija Bliss (Louis Gossett Jr.), who, we shall learn was her lover, who then promptly shoots Walker dead! 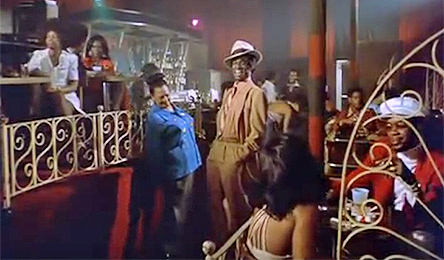 The action then skips ahead to modern times and we meet Isaac/”Ike” (Glynn Turman — Cooley High, Thomasine & Bushrod, Attica, etc. ), a law student, who is working his way through school as a cab driver. He has the evening off and is out clubbing with his girlfriend, Christella (Joan Pringle — in her theatrical debut, after working nearly a decade with small roles in various TV series epsidoes, including Ironside and That’s My Mama) and a couple of their friends when he gets roped into being on stage and is hypnotized. 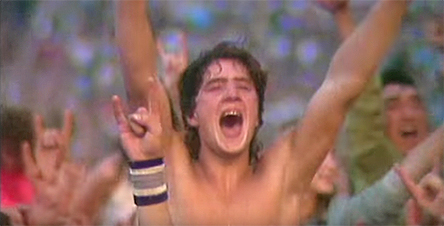 That little stage stunt is the catalyst that sets in motion a series as Ike has flashbacks of the events that occurred 30 years prior and, to make matters worse, he is slowly inhabited by the spirit of J.D. Walker … who is out for revenge. His life becomes a living hell as he takes on the persona — and gangster look (‘70s style, that is) — of Walker. Things come full circle when Ike hears the now-reverend Bliss (Gossett) preaching on the radio (pity the poor old white woman who was his fare at the time) and he knows what he has to do. It really gets strange when Ike meets Bliss’ “daughter,” who is the spiting image of his sister (Alice Jubert in a duel role). J.D.’s Revenge works both as a period Blaxploitation action film — Ike transforming into a “Super-Fly” gangster and all — and a nice black-riff on the possession films of the day — The Exorcist, Abby and The Omen (it kicked off the summer of 1976 and J.D.’s Revenge finished it). The only thing that is a little off is the ending (sorry, no spoilers here on that one). Arrow Video will be including a newly-prepared video session with producer/director Arthur Marks, an Arthur Marks trailer reel, plus more goodies not yet announced. 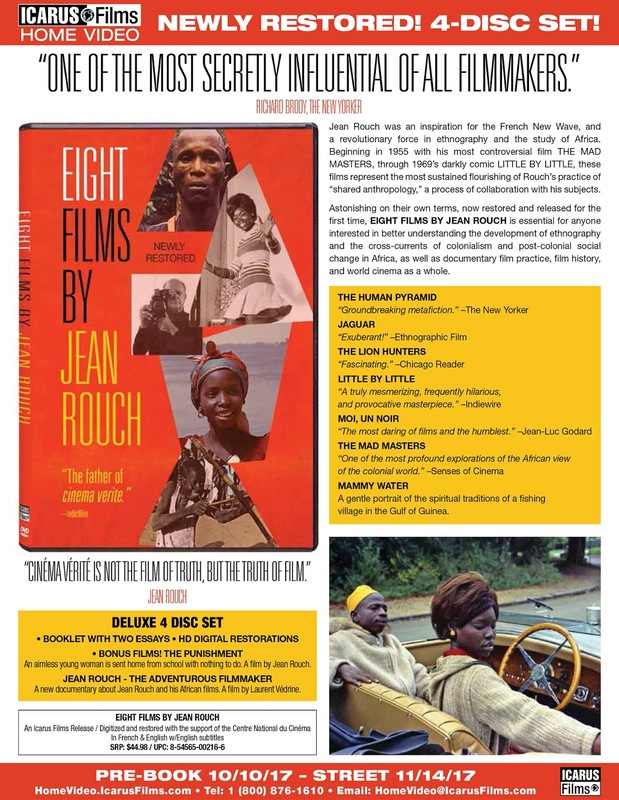 Icarus Films has tabbed Nov. 14 for the release a four-disc DVD deluxe box set featuring 2K restorations of selected film works from the prolific French filmmaker Jean Rouch. The collection is titled Eight Films by Jean Rouch, and it features six of his feature-length cinéma-vérité presentations, two of his short films and, as a bonus, documentary filmmaker Laurent Védrine’s newly-prepared look at the life, influence and films of Rouch, Jean Rouch: The Adventurous Filmmaker. 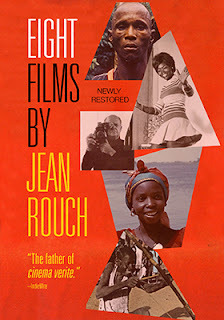 Jean Rouch was by trade an anthropologist, who got the “bug” in 1941 while working on a construction project in Niger and began using film as a method to document what he saw — and in the process became a leading member of the cinéma-vérité movement and, by inference, a filmmaker with the French New Wave movement as well. Two of these very influential films topline this collection. These are Moi, un Noir (1958) and Jaguar (1955), which are considered among the film treasures of France that were produced during this revolutionary period. Other feature length entries provided by Icarus Films are La Pyramide Humaine (aka: The Human Pyramid), 1961, La Punition (aka: The Punishment) from 1962, and the 1965 documentary, La Chasse au Lion à L'arc (aka: The Lion Hunters). 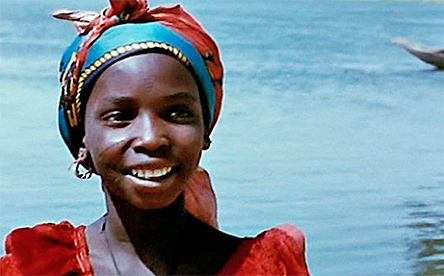 The other feature-length documentary in the collection is the 1969 release of Petit à Petit (aka: Little by Little) and the two short films are Mammy Water and Les Maîtres Fous (aka: The Mad Masters), both from 1955. Jean Rouch’s films are presented in French with English subtitles. 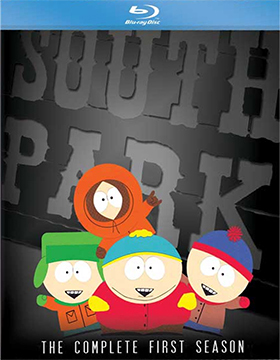 Paramount Home Media and Comedy Central announced this past week that the first five seasons of Trey Parker and Matt Stone’s Emmy-winning animated series, South Park, will be available as double-disc Blu-ray editions beginning on Nov. 21. This 20th Anniversary celebration of all-things South Park will continue on Dec. 19 with the release on Blu-ray of seasons six through eleven. Paramount has been releasing individual seasons of South Park on Blu-ray since 2009 beginning with the 12th season in the series, but the first 11 seasons missed the cut … by Christmas that oversight will be no-more as all 20 seasons will be available as Blu-ray selections!! Bonus features include “uncensored” commentary from Trey Parker and Matt Stone for all episodes, including the first season. 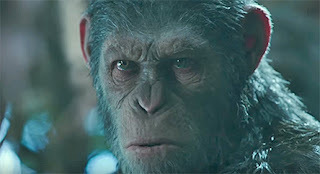 20th Century-Fox Home Entertainment is the latest victim of amazon.com and the online giant’s penchant for jumping the gun on formal announcements for new theatrical releases heading to the home entertainment marketplace. The subject of their pre-order eagerness this week is writer/director Matt Reeves’ The War for the Planet of the Apes, which will be available on Oct. 24 as at least a four-SKU product offering. Target jumped in with order-taking as well for the same date (nothing from them about a SteelBook edition) and Ingram’s videoeta.com website confirmed the date. Nothing from the PR group over at Fox as of week’s end. For the record, the ARR is 102 days and box office receipts for this third installment in the reboot of the series currently stands at $144.7 million, down from $208.5 million from the summer of 2014’s release of Dawn of the Planet of the Apes. 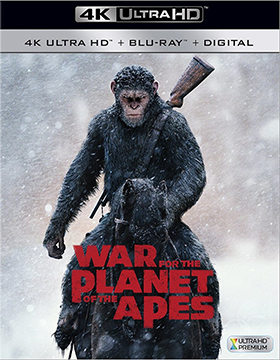 As for SKU configuration, amazon.com is touting a stand-alone DVD edition, two Blu-ray/DVD Combo Packs (one with a 3D viewing option) and a 4K Ultra HD/Blu-ray Combo Pack. 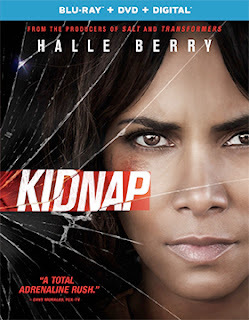 Aviron Pictures and actor-turned-producer Halle Berry will be looking to Universal Pictures Home Entertainment to guide the domestic home entertainment launch of director Luis Prieto’s summer thriller Kidnap on Oct. 31 with the release of DVD and Blu-ray/DVD Combo Pack editions. The ARR is a quick turnaround of just 88 days and box office receipts were an OK $29.8 million. One of the bright spots of the summer theatrical season was director Jon Watts’ latest installment in the Spider-Man film franchise series, Spider-Man: Homecoming. Sony Pictures Home Entertainment announced this past week that Oct. 17 will be the street date. With $325.1 million in box office receipts only Beauty and the Beast, Wonder Woman and Guardians of the Galaxy Vol. 2 could top it … indeed, you have to go back a decade to find a film in the series with similar box office appeal as Spider-Man: Homecoming easily out-gunned the last two entries in the series, Amazing Spider-Man (2012) and Amazing Spider-Man 2 (2014). For the record the ARR is 102 days. 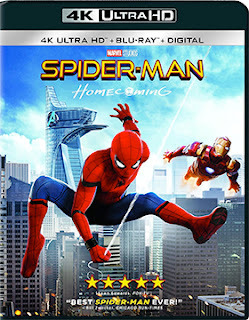 As to SKU configuration, Sony Pictures Home Entertainment is sending home a stand-alone DVD edition, a Blu-ray/DVD Combo Pack selection, a double-disc Blu-ray featuring both 2D and 3D viewing options and a 4K Ultra HD/Blu-ray Combo Pack. 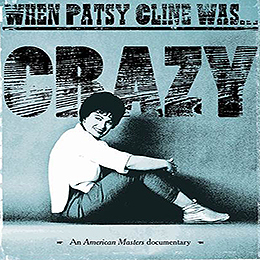 Universal Music Enterprises announced this past week that the 85th birthday of country and pop music legend, Patsy Cline, will be celebrated on Friday, Oct. 6 with the DVD release of documentary filmmaker Barbara Hull’s American Masters presentation of When Patsy Cline Was … Crazy. Hosted by Rosanne Cash, this feature-length look at the life and music of Patsy Cline includes a blend of vintage (Willie Nelson, Carl Perkins and songwriters Harlan Howard and Hank Cochran) and newly-minted interview sessions (Reba McEntire, LeAnn Rimes, Wanda Jackson, Kacey Musgraves, Dottie West and more), plus exclusive materials provided by the Patsy Cline estate.